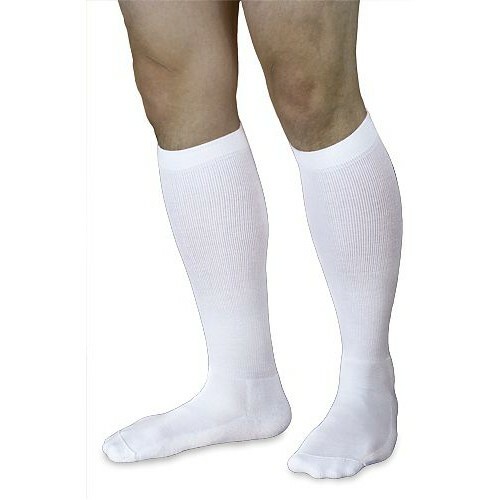 Sigvaris Women's 602 Diabetic Knee High Compression Socks 18-25 mmHg are made specifically for patients with diabetes. Sigvaris Women's 602 Compression Stockings 18-25 mmHg by Sigvaris are different than other stockings in the market since they protect the diabetic foot while giving compression therapy. Sigvaris Women's 602 Diabetic Compression Hosiery 18-25 mmHg were shown to reduce edema in people with diabetes, according to a recent study. The patients were 100% satisfied with the ease of care and with the overall comfort. They also unanimously said they would recommend these socks. Sigvaris Women's Diabetic Compression Hosiery are made of latex-free material and Dri-release which helps wick away moisture and control odor. They have a non-binding top, extra padding on the foot for more comfort, and a flat toe seam. Available in white and sold by pair. 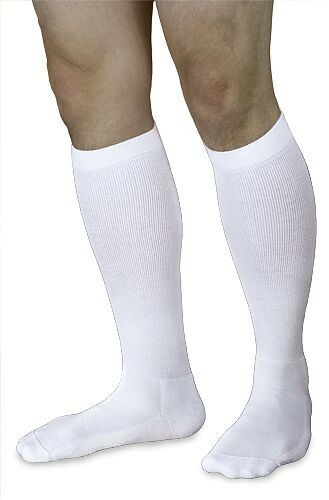 See more products such as Sigvaris Select Comfort and Sigvaris Sports Socks.